People often ask Eric why, as an attorney, he does nothing but Veteran’s Disability law, and he always tells them the same four things. First, his father likes to tell the story that even as a young boy, his stubborn streak was accompanied by an equally strong determination to prove his position (whatever he was arguing for). Second, he inherited a passion for precision and organization from his German grandfather, Hermann Gäng, who was an internationally-respected mechanical engineer, with numerous patents related to calculators and adding machines. Third, he was brought up to respect the traditional values of hard work, patience, discipline and service. Not surprisingly, those who have analyzed Eric closely know that he is motivated by traditional values and predictability. His sense of core values is inextricably infused into the effort on each case. It’s the way he orders his life and his law practice. In fact, at home his daughter chides him for never “relaxing”, but it’s his disciplined approach to life and the practice of law that is, in itself, a source of motivation. 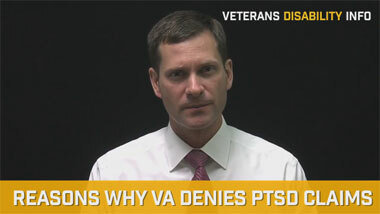 It’s also what allows him the ability to calmly endure VA’s long bureaucratic delays. Finally, the medical-military connection has always been part of Eric’s professional heritage. Eric’s father was dentist when drafted into the U.S. Army during the Vietnam War. His uncle also served as a dentist in the Coast Guard during the Vietnam War. And Eric’s maternal grandfather was a doctor and served as a Captain in WW II (Army Medical Corps). Since that first case, hundreds of Veterans have hired Eric to help them get the benefits they need and deserve, and his commitment to going the distance on their behalf only grows with each new client. In fact, he has litigated well over 500 appeals at the U.S. Court of Appeals for Veterans Claims, and has recovered literally millions of dollars on behalf of disabled veterans. Eric welcomes the opportunity to talk with you about your situation and whether we can help. 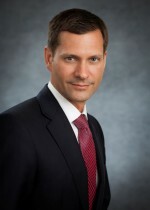 Eric received his law degree in 1998 from Seton Hall University School of Law, Newark, New Jersey. He served on the prestigious Legislative Law Journal. Eric lectures widely in the area of veterans’ benefits law for such prestigious organizations as Lawline, Rossdale, and the National Business Institute. He has also lectured for the New Jersey State Bar Association’s Institute for Continuing Legal Education. He has co-authored two publications for The National Business Institute on appealing the denial of VA benefits, which were published in 2013 and 2014. His work has also been published in industry publications such as The Federal Lawyer and he has been a commentator on veterans’ issues for WRNJ radio. Eric’s work has also been mentioned in media outlets across the country, including the Dallas Morning News, the Charlotte Observer, the Miami Herald, and the Cincinnati Enquirer. Author. 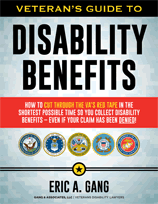 "Obtaining Disability Compensation for Disabled Veterans." (PDF) The Federal Lawyer, May/June 2014. Coauthor. "Elder Law: Obtaining Veterans Benefits and Funding Long-Term Care." NBI, Inc. 2013. Taylor v. McDonald, ____ Vet. App. ____ (2014). Eric is currently serving as executive director of the Disabled Veteran’s Resource Center, Inc., a nonprofit veterans’ advocacy group. The DVRC’s mission is to educate veterans with the information they need to successfully fight VA and win their disability benefits. 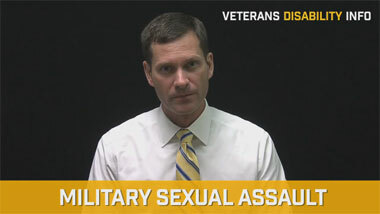 Eric also speaks to veterans groups, community groups, and academic institutions on veterans issues.